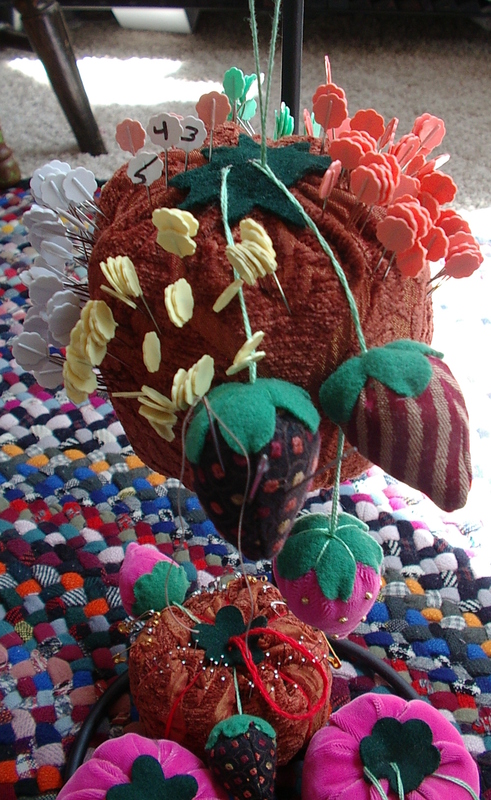 So, today was another day off so we made the girl's big pin cushions. 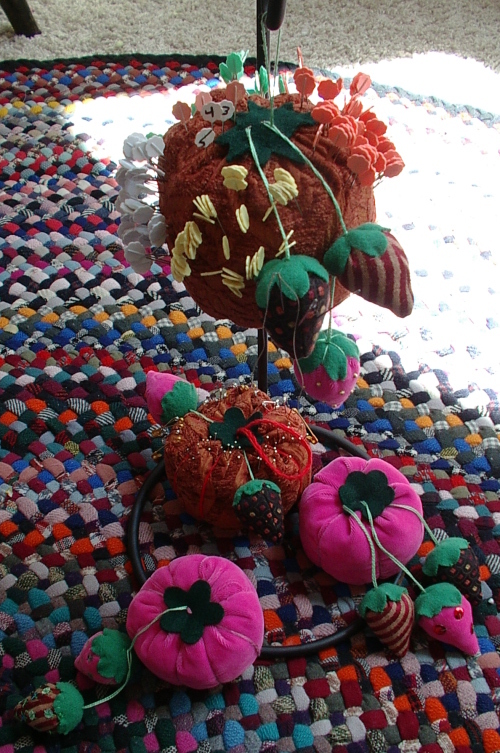 I made a large orange, my oldest made a pumpkin, and the youngest two made hot-pink velvet tomatoes. My oldest and myself have already put ours to use. The other girls, I am sure, will load theirs up soon with supplies. I made the youngest two's for them and they stuffed them, but my oldest made hers. For a first try, I think it came out pretty good. what a fun project! My daughter was the oldest and only girl. We didn't really get to do many projects like this. Such memories! 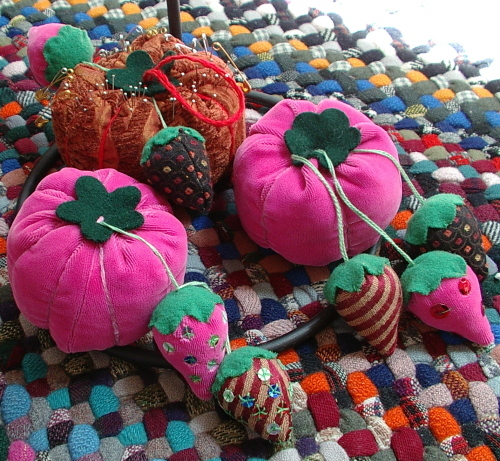 I love these pincushions and strawberries - your girls did a great job.